Are you an office worker who was injured while at work in New York City? The injury attorneys of The Orlow Firm have experience representing office workers and other injured employees in Brooklyn, Queens, NYC, and Manhattan and throughout New York. We have handled numerous third-party claims, and we know how to achieve a fair outcome on your behalf. When you work with our firm, you will speak directly with a partner. 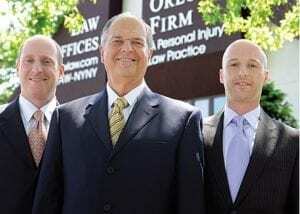 You should always expect that of a law firm you hire for your injuries. If you or a loved one was injured at work and would like more information on filing a third-party claim, please contact our New York City personal injury lawyers to schedule a free consultation. We offer free initial consultations and have four offices across New York City for your convenience.